Crochet- I'm still writing up patterns for the flower scarf I showed you last week, and my diamond bobble hat, the beginnings of which you can see here, but am having trouble deciding on which charting software to use for the scarf pattern (hopefully I won't have to resort to drawing it by hand!). These three patterns, along with a couple of other surprise ones will be released mid-August so please keep an eye out. You can see my other designs on Ravelry here. Please feel free to add me on Ravelry so I can see what you have been making too! For now, I am going to delight in crocheting up something luxurious and cosy in this gorgeous Scrumptious Aran by Fyberspates (colour is 403-water). 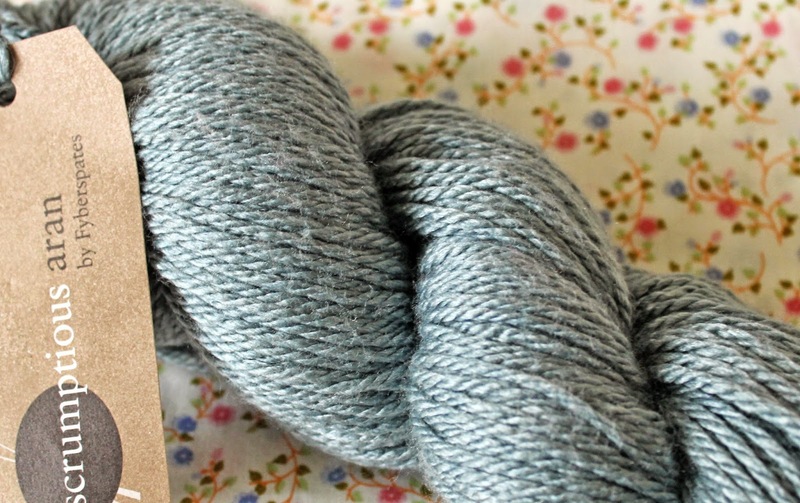 It is 45% silk and 55% merino so is incredibly soft, with a lovely shine to it. I just know already it is going to be a dream to crochet with.